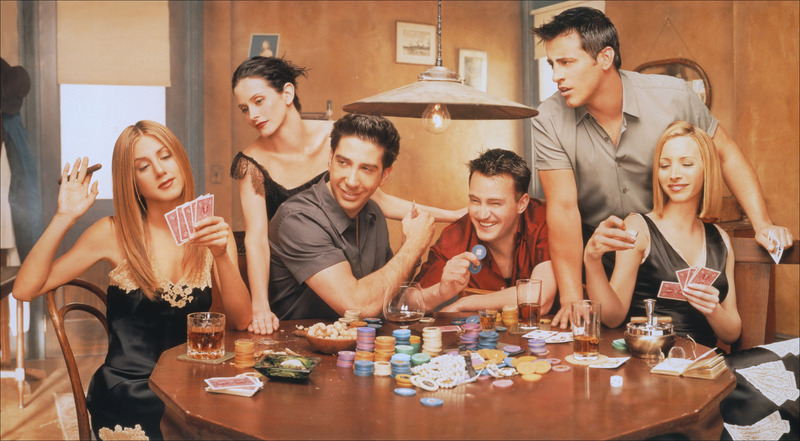 F·R·I·E·N·D·S Cast [HQ]. Monica Geller (Courteney Cox), Joey Tribbiani (Matt LeBlanc), Rachel Green (Jennifer Aniston), Ross Geller (David Schwimmer), Chandler Bing (Matthew Perry), and Phoebe Buffay (Lisa Kudrow).. HD Wallpaper and background images in the বন্ধু club tagged: friends characters pictures picture monica joey rachel ross chandler and phoebe promotional pictures livejournal. This বন্ধু photo might contain রাতের খাবারের টেবিল and তাড়িখানা.